Today's DIY is so easy for anybody to do, you don't need sewing skills for this one! I'd give it a difficulty rating of 2/5 if that, plus it's cheap and thrifty! If, like me, you've got an old scuffed pair of heels (or flats, which would be even easier) in your wardrobe that you don't quite have the heart to throw out, I may have the solution. 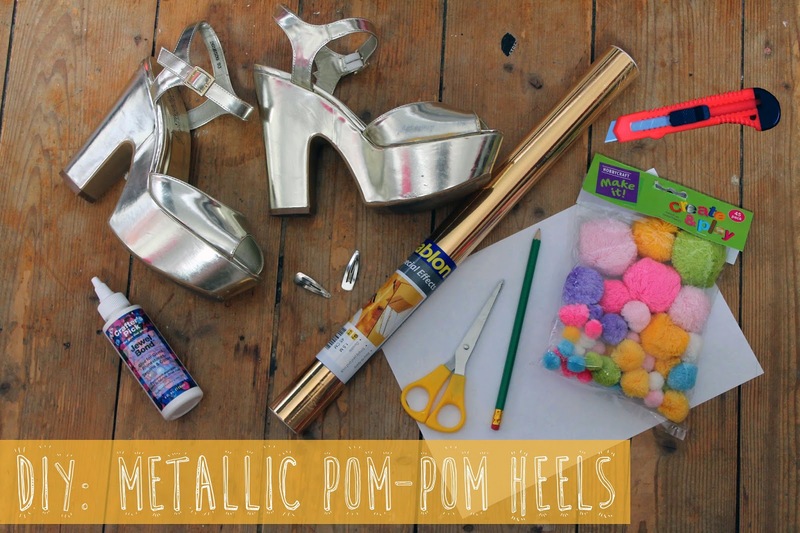 I love these new look heels, but after a few nights out they're looking a bit worse for wear so sticking with the metallic theme, I thought I'd back them with some shiny paper and even add a few decorations, so sassy. 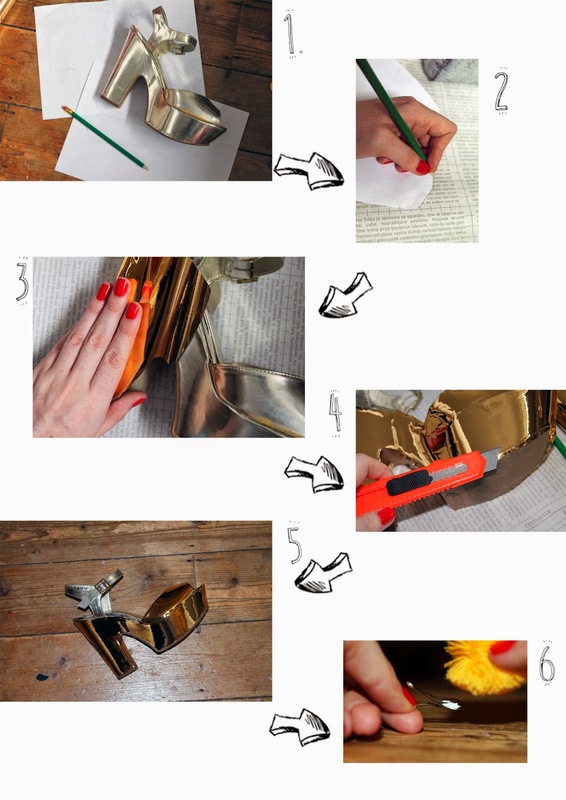 Here's how to upcycle your old shoes.. I got my supplies from hobbycraft. The fablon sticky back plastic was just £5. First off, take a good look at your shoes. Chances are, they're made up of shapes, like a pattern piece of a dress if you like. Put your paper over these pieces and trace the outline. Then add about an inch around the edge and cut out. Once you've got your "pattern pieces" place them on the back of the fablon and cut. Remember to keep excess paper to a minimum. Piece by piece, peel the back off the fablon and gently place onto the shoe. Once you're happy it's in the right place, smooth it down, beware of air bubbles - they can be so tricky! Once the shoe is covered, trim the edges with the craft knife. 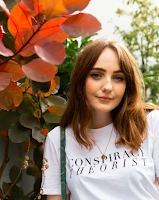 (I know a lot of younger girls read my blog so please be careful - sorry to sound like a boring adult!) It might be a good idea to mark out the edges where you're going to cut with your nail first. Depending on your shoe, some edges might not need cutting but would look better with the edges folded over, this is why it's important to have that inch around the edge. Also, buckle straps like these will be really annoying to cover, so you can leave these if you like to get a two-tone shoe like me, I kinda like it! As an optional extra, I also made these sassy pom-pom clips which seem to be doing the rounds at the moment. Staying thrifty, I found these old clips from when I was a kid and ripped off the decorations, then gluing pom-poms on instead. Ideally, you could use a hot glue gun but as I'm yet to get one, I used crafting glue. But if you have the option, go with the glue gun. And that's it, my old heels have been upcycled into holographic beauties! I might even wear these at the UK fashion & beauty awards next week. Let me know if you're going to try and transform your shoes and if you do, please show me the results on twitter or instagram, I'd love to see. Don't forget to check out my other DIY tutorials here. These look so freaking cool! love it!